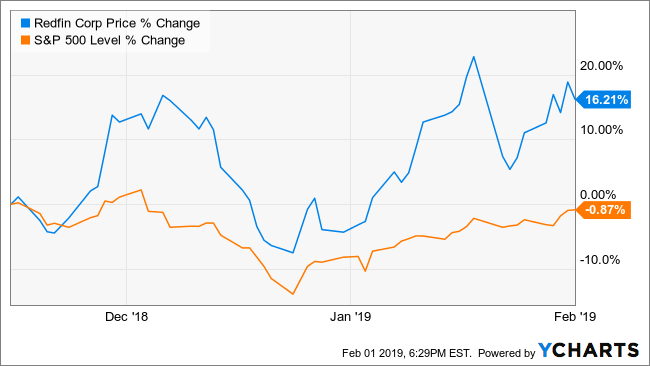 Redfin Corp.’s (RDFN) stock has fallen nearly 14% over the past 52-weeks, but it has been on the rebound in 2019. The shares of the online real estate brokerage fell sharply in August, after the company reported weak third quarter results due to a slowing housing market. Now, that may all be changing. 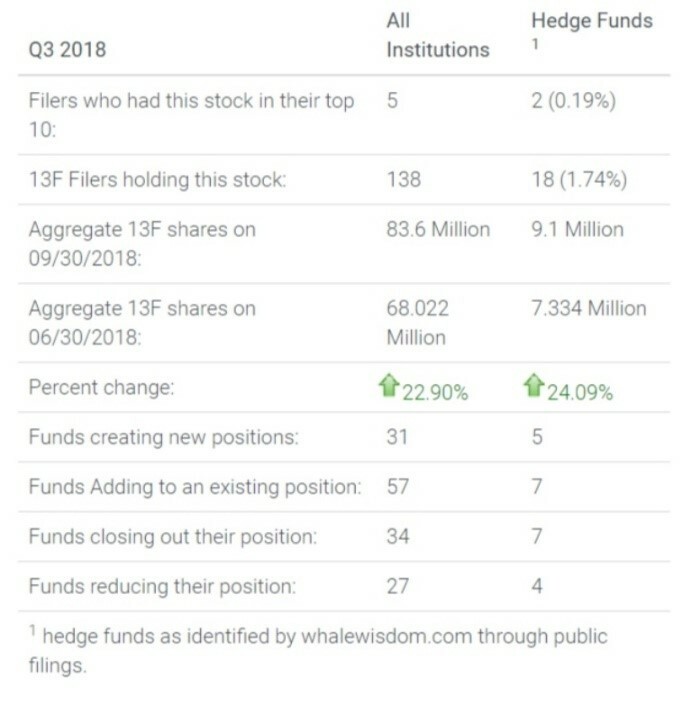 Institutions and hedge funds were buying the stock throughout the third quarter, and as a result, the shares were added to the WhaleWisdom WhaleIndex 100 on November 15. Since being added to the index, the stock has risen a shocking 16%, easily topping the S&P 500’s decline of about 1%. In total, hedge funds increased their total 13F holdings in the quarter by 24% to 9.1 million shares. Additionally, all institutions increased their total holdings by 23% to 83.6 million shares. In total, 31 institutions created new positions in the stock, while 57 added to existing ones. On the other hand, 34 institutions exited, while 27 reduced their stakes. The housing sector suffered throughout much of 2018, as rising interest rates sent mortgage rates soaring to a level not seen in 5 years. 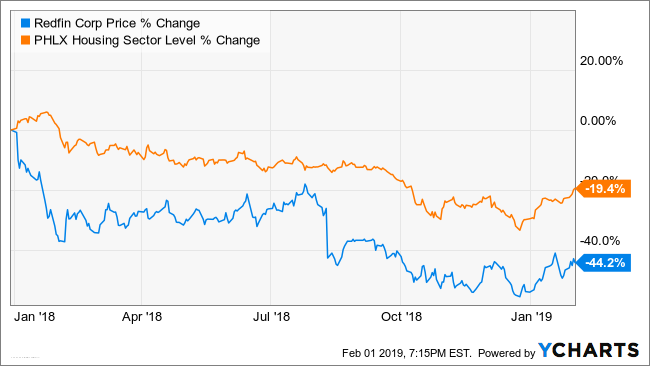 As a result, the PHLX Housing Sector Index (HGX) started to fall sharply in August, dragging shares of Redfin along with it. By the middle of November, the housing index was nearly 35% off its 2018 highs, while Redfin had fallen by as much as 45%. However, by that time interest rates began falling as investors started to anticipate a Federal Reserve which may back off its path, for as many as three interest rate hikes in 2019. Since that time, the sector index has rebounded nearly 21% from its Christmas Eve lows while Redfin has risen by 26%. Should the housing sector continue to recover, Redfin is likely to be a big beneficiary of that recovery. It would appear that the move into the stock by investors is a bet on a strong housing sector. That doesn’t mean it is going to be an easy bet, because analysts see revenue rising 25% in 2019 to $602.35 million, but the company’s loss is widening to $0.85 per share from $0.53 in 2018. However, revenue estimates for 2019 have been dropping since July from $612 million, while estimates for 2020 have fallen from $762 million to $732 million. It would seem based upon the stock’s strong performance, that buying among these investors continued throughout the fourth quarter and the start of the first quarter. Redfin’s shares appear to be well positioned to continue to rise as long as the housing sector continues to strengthen. This entry was posted on Monday, February 4th, 2019 at 8:58 am and is filed under Stock, WhaleIndex. You can follow any responses to this entry through the RSS 2.0 feed. Both comments and pings are currently closed.